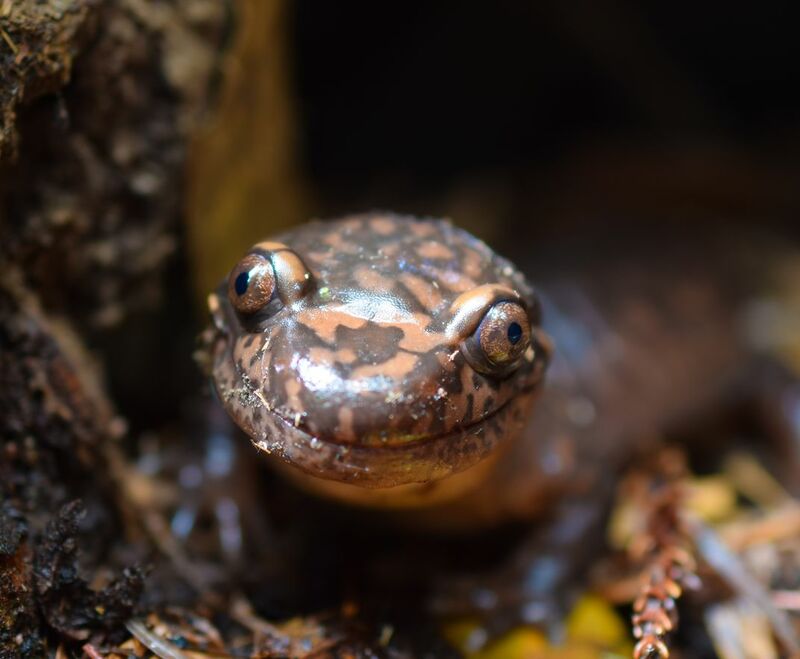 A giant coastal salamander smiles for the camera. This photo was taken in Muir Woods National Park near San Francisco, CA. My wife and I were hiking on some of the less-frequented trails likely 2-3 miles from the main park entrance when we discovered this giant coaster salamander, who had taken up residence in the hollowed-out base of a redwood tree. Date Uploaded: June 24, 2018, 10:10 p.m.